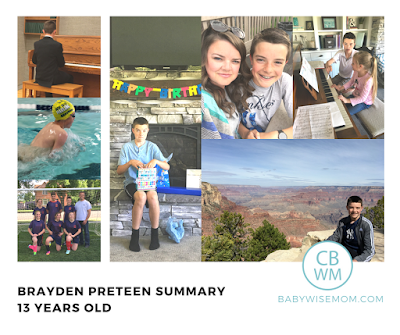 This is a summary for Brayden from 12 years 9 months old to 13 years old. 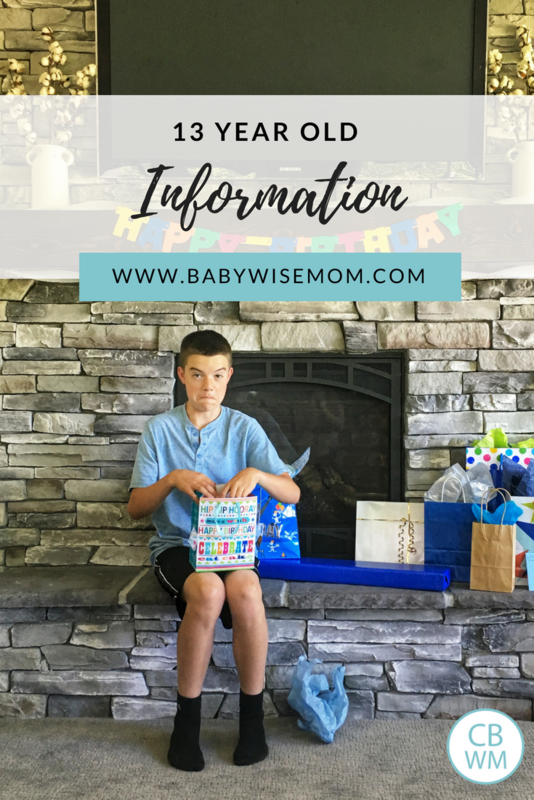 Happy 13th Birthday to Brayden! Brayden surprises and impresses me almost daily. He is one of the most responsible and reliable people I know—adults included. He is an incredibly hard worker. He is faithful and fully willing to stand up for what he believes in. He does not hesitate to stand up for or protect others. He doesn’t care what “man” thinks; he cares about what is right. He is incredibly smart. I couldn’t ask for a better person to be the oldest child in our family and be an example to his younger sisters. They all look up to him immensely and love him dearly. No, he isn’t perfect, but he sure tries to do his very best every day and tries to continually improve upon his weaknesses. We sure love him! Eating has been great. Last time, I talked about some complaining that had been happening over food, but that didn’t happen at all during this time period. Sleeping is great! During the course of this past school year, Brayden started using an alarm clock to wake up on his own each morning. This has been handy because he wakes up about the same time I do, so I don’t have to stress about hopping up and getting him up right away. One of the most amazing things about kids as they get older is how they take on personal responsibility more and more! Brayden is super responsible and great about staying on top of his chores. He is responsible for everything in his room (bed, cleaning, dusting, vacuuming). He has a bathroom he cleans independently. He has other rooms he vacuums. He does his own laundry. He is also in charge of our lawn care. Brayden usually does the chores after school and/or on weekends. MOST of his chores are done Thursday-Saturday. School is great! He has loved seventh grade, which is such a relief! Middle school can be a painful experience for some, so I am thrilled he is half-way through and loving it. He has thrived in middle school. He got straight A’s all year long. He got his state math competition results and placed in the top 4% of the 7-9 grade students there. He has kept all of his friends and made some new ones. I think a reason he has just loved middle school is that he is the type of person who does not care what others think. This is an age when teens try very hard to impress and please those around them, and he is just comfortable with who he is and not worried about impressing people. As far as homework, Brayden rarely has homework. If he does, he does it soon after getting home. That is just our habit we have at our house. Homework is done first thing. Brayden had his first official job! He reffed soccer games this spring. He had to take a class and pass a test. Then he was able to ref games. He was very responsible about it. He was supposed to be there 30 minutes early. He was for every game but one. The other people typically all got there 5-10 minutes before. HA! He enjoyed that. He also worked on fixing up a motorized scooter and sold that for a profit. Nate helped him a lot with it. Brayden is also now teaching Brinley piano lessons. We are paying him each month to be her piano teacher. Guys I haven’t read Teenwise yet (affiliate link)! I went to get it off my bookshelf and don’t have it…which kind of makes sense since I only now have a teenager, but I thought I had purchased everything a while back. Fortunately Amazon tells you if you bought something or not, so I could easily see I had NOT purchased it. It is on its way! Piano lessons: The big news here is that his piano teacher had to stop teaching, so we spent some time researching, interviewing, and pondering new teachers. He settled on a new teacher and will start up very soon! Scouts: Brayden is the patrol leader for his group. 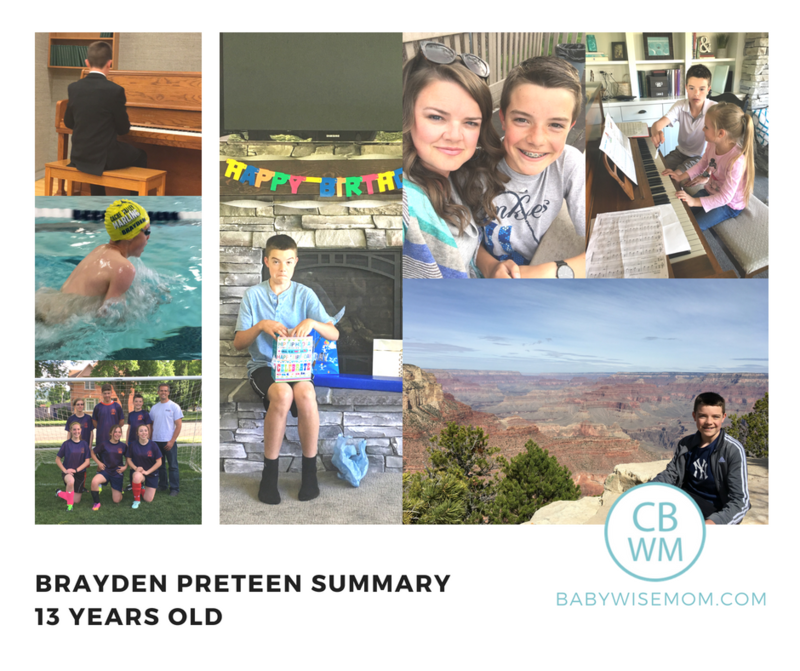 Soccer: At Brayden’s age, rec soccer changed to co-ed with a wide age-range. He played with 15 year olds. He had a great time! It was a lot of fun and a pretty laid-back atmosphere. 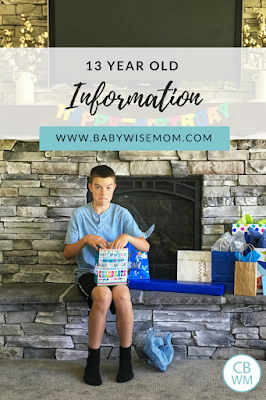 Next Post Share Your Babywise Success!